An appraisal of how many patterns anglers lose each year and what eventually happens to those hooks. IT’S A CRISP FALL EVENING and your guide has you drifting egg patterns to hungry browns on the fabled Au Sable River. As you stalk the banks, he steers you toward a trout lie at the edge of a woody pool. Risky cast, but you’re feeling lucky. Cast, mend, wait. Nice drift. The indicator flinches, so you set the hook! Rats! Log fish. Snap off, grumble, grumble, and rerig. You move on to the next upstream wintering hole. But wait a minute, something’s wrong. You feel a pang of nameless guilt. After some intensive pocket patting (which can take modernly equipped anglers several minutes), you realize you’ve left something behind, something substantial—your flies. You’re a proud leave-no-trace abider, are you not? A conscientious tippet-clipping collector, candy-bar-wrapper-stasher, and packer-outer of miscellaneous fisherperson rubbish. But you just left three nymphs, two split shot, and 32 inches of fluorocarbon tippet hanging off the end of an alder branch, and you didn’t even flinch. Never mind the fact you abandoned $10.50 worth of local patterns. You’ve desecrated the Holy Waters in a heedless and most sacrilegious act. You . . . littered! There are certainly ugly facets to fly fishing that anglers care not to ponder, let alone dwell on. For one, our pastime revolves around the act of impaling sharp objects into colorful, charismatic animals. We fight them, sometimes to exhaustion, and sometimes to death. Woe is life for a lazy summer trout. Such a topic is surely worthy of philosophical discourse, but we’ve been there and done that. Fly anglers have accepted the sport for what it is. For now, let’s discuss one of our seemingly milder infractions, one to which we have the ability to impart change: the fate of lost flies. “If you’re not losing flies, you’re not fishing deep enough,” said every guide, ever. We leave flies in the river—tons of flies. We leave big flies, small flies, streamers, nymphs, drys, and wets—and don’t forget the tippet, split shot, and the occasional strike indicator that snaps clean off. It’s just part of the game. It’s so bad that at the end of the Pere Marquette’s Chinook run, every streamside hemlock within 100 yards of a public access points is dressed in little pink and orange pom-poms, reminiscent of poorly decorated Christmas trees. If you were to dredge the streambed with a metal detector, you’d surely fill a fly box ten times over. To our credit, at least fly fishermen don’t leave nine-inch crankbaits, four-ounce lead pyramids, braided line and worm cups strewn about the riverscape. So why should we care about losing a few flies here and there when other unscrupulous fishermen are polluting at frequencies that could reignite the Cuyahoga? After all, losing a few flies is more or less akin to spitting seed shells roadside, right? Let’s do the math. Daniel averages 180 angler days with clients each year. Per technique (streamer, nymphs, drys), his estimate of lost flies equates to 40 streamers, 990 nymphs, or 450 dry flies lost each year of guiding. Now surely he mixes up his fishing techniques each outing and doesn’t sacrifice the combined total of all of the above. But seeing as Daniel is the author of Dynamic Nymphing and is often in demand for those looking to sharpen their tight-line skills, nymphing is his most popular and fly-costly technique. So even fishing under the supervision of one of competition fly fishing’s greatest can’t cure everyday anglers of fly desertion. “Since I either tie or buy all my flies, I go to every effort to retrieve flies. It’s a tough decision, [especially] when guiding during peak season and streams are crowded and an angler may only have 60 to 100 yards between them and the next angler. As a result, if a nymph gets stuck on the stream bottom, I’ll likely break it off so I don’t wade in and spook what little water I have to work in. On the other hand, if it’s winter with little angler traffic, I’ll likely go in to retrieve the fly,” Daniel says. Still pondering about what guides and shops think about abandoned flies and gear, I spoke with Brian Flechsig, the founder and president of Mad River Outfitters in Columbus, Ohio, who said his clients typically lose 10 to 12 flies per outing, usually more nymphs than streamers. Flechsig says the shop runs 6 to 10 trips per week, all year long. That equates to anywhere between 3,120 to 6,240 flies lost per year by their clients. Though the variability is high, they still experience annual losses of flies in the thousands. Flechsig explained the number of lost flies is highly correlated with the angler’s experience and the type of fishing, noting that, “We lose way more trout flies than [flies for] warmwater species.” In other words, fly fishing is a more costly experience for novice anglers in hot pursuit of trout. Realizing that some anglers can’t afford or don’t want a guide, let’s consider the individual DIY fly angler. Examining data from the U.S. Fish and Wildlife Service’s 2011 National Survey of Fishing, Hunting, and Wildlife-Associated Recreation, 33.1 million fresh- and saltwater anglers age 16 and older fished for a total of 553.8 million days in the United States in 2011. 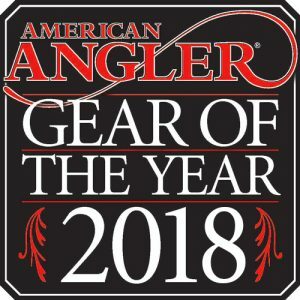 The report noted 13 percent of those 33.1 million anglers are fly fishermen, so 13 percent of 553.8 million angling days equates to 71.9 million fly fishing days. Making a conservative assumption that each of those anglers lost just two flies per day (which is less than the estimates of the aforementioned guides), and doing some back-of-the-envelope math, that’s 143.9 million flies lost per year in U.S waters. Now let’s have some real fun. Making another assumption that each of those flies was equivalent in weight to a size 16 Pheasant Tail Nymph, we find that each .2 gram per fly multiplied by 143.9 million flies. That’s a lot of grams—tons, actually. Over 30 tons of lost, discarded, and abandoned flies. More easily understood, it’s about equivalent in weight to roughly 2 million empty beer cans. I wasn’t kidding when I said fly anglers lose tons of flies.